Welcome to the Ethnographic Park Pirámides de Güímar! The existence of the Güímar step pyramids first came to wide public notice in the early 1990’s. The information reached the Norwegian anthropologist Thor Heyerdahl. Heyerdahl, who dedicated much of his life to researching the cultural origins of ancient civilisations throughout the world, carefully studied the Güímar pyramids. The gardens are one of the most attractive features of the Park, with over 20.000 m2 of garden areas containing a representative selection of more than thirty species of Canarian endemic flora. This unique resource has allowed the creation of two routes related to botany and the Canary Islands: The Botanical Route and the Exportation Products Route. The Ethnographic Park has one of the largest photographic collections of pyramids and step structures of the world, displayed in two rooms of the Casa Chacona Museum and the central patio of the same building. The purpose of this collection is to show the many locations around the planet where there are pyramids and step structures, such as Giza (Egypt) or Tikal (Guatemala). The “Mata Ki Te Rangi” Foundation (Easter Island) developed this exhibition, which aims to raise awareness of one of the most amazing and exciting stories in the world: the achievements of the Polynesian society, which for more than a millennium has developed a spectacular culture in the distant and small Easter Island (Rapa Nui). More so, since this society had to face their survival in complete isolation, and in an extremely poor environment as a direct result of human action. Rapa Nui is the most isolated inhabited island on the planet, and its geographical location affects its unique physical characteristics, with less biodiversity, where humans build risky relationships with the environment. Therefore, this exhibition is a warning to the present time, due to the destructive action of the human being on the environment. The Park includes a leisure area, with a cafeteria offering a magnificent panoramic view of the pyramids. There is a play area and a children’s playground for the younger visitors. 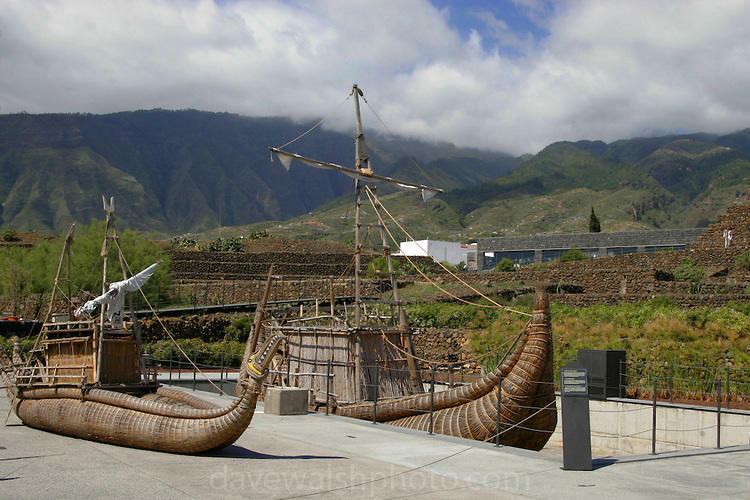 In the same area, the souvenir shop provides handcraft products, a selection of books on the anthropology and culture of the Canary Islands, as well as a wide variety of typical Canarian items and ceramics. 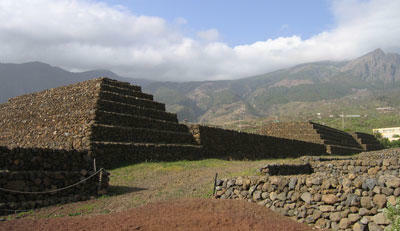 The Pyramids of Guimar Ethnographic Park’s opening hours are: 9:30 AM – 6:00 PM daily. We will send you Payment Request by e-mail to pay the tickets with a card or PayPal. After the payment request is paid you will get your entry tickets by e-mail. 5,50€ – per child 9-12 years old. free – per a child less than 9 years old. Approx. up to 10 hours. You will get information how to reach the Pyramids of Guimar in our Booking Confirmation.